The Brecon Beacons National Park is full of stunning scenery, rolling countryside and impressive mountains. You’ll discover breath-taking landscapes, stunning hills and tranquil reservoirs along the way. 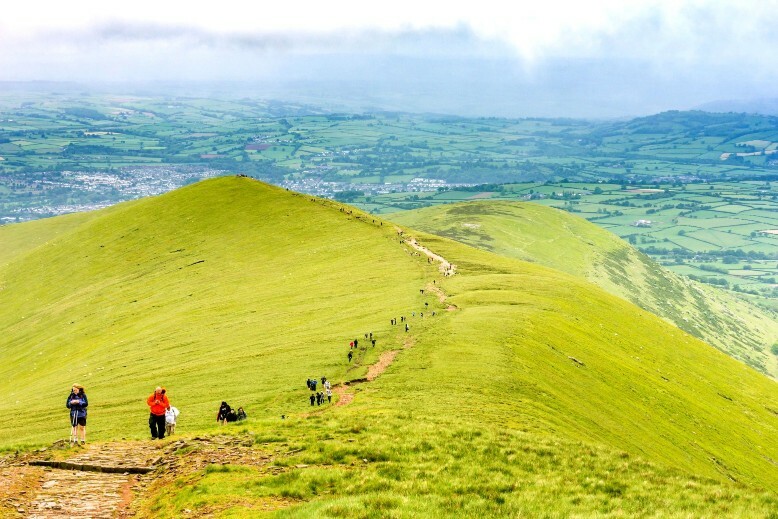 Both the 25km and 50km routes venture to the summit of Pen Y Fan – the highest peak in southern Britain. From here you’ll witness just how beautiful and diverse this National Park really is! You’ll get full support along the route from the event organizers! If you have chosen to self-fund your place then we would love to welcome you to our team. There is no set fundraising target; we just ask that you raise as much as you can to help stop bowel cancer. To join our team complete the form below. Our events team will support you all the way, from your initial welcome pack through to congratulating you on your achievement. We will send you a technical fibre t-shirt perfect for walking in, along with regular training and fundraising updates to make sure you have the best experience.